Owing to rich industrial experience in this domain, we are involved in offering a wide range of Ultrasonic Instruments to our clients. 4 monitoring indicators for a thorough diagnosis whatever the application: RMS, maxRMS, Peak and Crest factor. Memory of 4.000 time- and date-stamped measurements distributed over 500 locations and classified per sensor. Data Dump software for transfer to PC. Basic acoustic water leak detector for metal and non-metal underground pipelines under paved and unpaved surfaces. Voltage 4 to 7 V. - alkaline batteries АА type 1,5 V (4 pcs.). It tells us when to grease...and when to stop. Grease reduces friction in bearings. Less friction means longer life. LUBExpert alerts you when friction levels increase, guides you during re-lubrication, and prevents over and under lubrication. Ultrasonic and vibration measurements as well as relative humidity and temperature measurements on a single device*. For optimum performance, this battery pack is equipped with an electronic management system (includes digital serial number, capacity and temperature management). The TIGHT Checker is an ultrasound solution designed to verify the tightness of closed volumes. Use the TIGHT Checker to pinpoint the exact location of leaks in vehicles, buildings, tanks, and ships. Designed for use with SDT’s ergonomic Flexible sensor and compact T-Sonic1 transmitter. -31dB (@40 kHz, 0 dB-1 V/μbar) Equal to a flow rate up to 10-3 std. cm3/sec. 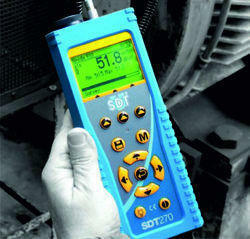 SDT LUBE Checker is an ultrasound solution designed to optimize bearing lubrication. This intuitive device ensures bearings receive the right amount of grease at intervals dictated by condition, not run time. 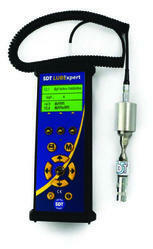 SDT LUBE Checker uses SDT LUBE Sense, a robust, repeatable sensor built to withstand harsh conditions. 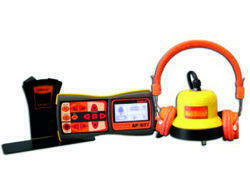 The TRAP Checker is an ultrasound solution designed to assess the condition of steam traps and valves. 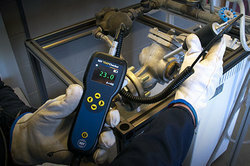 The TRA PChecker detects internal turbulence by defective steam traps and passing valves. 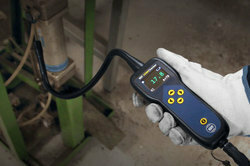 LEAK Checker is an ultrasound solution designed to find compressed air and vacuum leaks in noisy environments. Measure the level of the leak with LEAK Checker, then estimate its cost impact with the LEAK Reporter App, available for free on the App store. 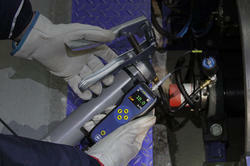 LEAK Checker comes with a 16mm diameter replaceable ultrasound sensor. LEAK Checker is so easy to use. Simply open the box, switch it on, and start finding leaks. Enjoy crystal-clear sound in the headset and a vibrant colour display. LEAK Checker makes leak surveying fun again. Looking for Ultrasonic Instruments ?